The Farewell Pilgrimage (Arabic: حجة الوداع) was the last and only Hajj pilgrimage Muhammad, prophet of Islam, participated in 632 CE (10 AH). 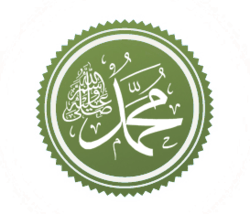 The Muslims observed every move, every act, and every gesture of the Muhammad on this occasion, and everything that he did, became a precedent for all time, to be followed by all Muslims all over the world. caused him to announce that he would go on the Hajj that year. The people of Medina and surrounding towns gathered in the city to accompany the Islamic Prophet during the Hajj rituals. Before his departure, he appointed Abu Dujana Ansari as governor of Medina during his own absence. On the 25th of Dhu al-Qi'dah, 4 nights before the end of Dhu al-Qi'dah (February 632), he left Medina, accompanied by all his wives. Before arriving in Mecca, Muhammad stayed at Miqat and taught people the manners of wearing Ihram. He made ghusl (ritual bath) and then put on Ihram for Hajj. His Ihram clothing was two pieces of Yemeni unsewed white cotton that later on became his shroud; and moved on so that he did his noon prayers in the mosque of Shajara. Later, Muslims built some mosques at the places Muhammad stayed prayed. The next day, Muhammad and his companions arrived Masjid al-Haram. They entered from the gate of Dar al-Salam, went to the Kaaba and touched black stone. Then Muhammad proceeded to Circumambulation of the Kaaba (Tawaf). Finally once again touched Black Stone, kissed it and cried long near it. Then, he did two Rakat of prayer behind the The Station of Abraham. After his prayers, he drank from the Zamzam well, prayed and then went to Mounts Al-Safa and Al-Marwah and said that he would begin Sa'ay (runs back and forth between the hills of Al-Safa and Al-Marwah) from the mount al-Safa since God mentioned it in Quran first. When he arrived there, turned toward Kaaba and long prayed to God and jog-trotted part of the way. When he arrived at Mount Al-Marwah, stopped and prayed. On the eighth sunset of Dhu al-Hijjah, Muhammad left for Mina and stayed there for a night. Then he passed along on his camel, al Qaswa', till he reached Mount Arafat. As he ascended the mountain, he was surrounded by thousands of pilgrims chanting Talbiyah and Takbir. By Muhammad’s order, a tent was erected for him on the east side of Mount Arafat at a spot called Namirah. He rested until the sun passed the zenith, then he rode on his camel until he reached the valley of Uranah. There he delivered a sermon about different social rights of Muslims and led Zuhr and Asr prayer. Then he moved to plain of Arafat, stayed there and spent the afternoon in supplication. Upon the sunset, Muhammad rode towards Mash'ar al-Haram (Muzdalifa) and advised pilgrims that slowly pass the way. Islamic Prophet did his Maghrib and Isha prayer in Mash'ar al-Haram then made a rest. At the down, he prayed and supplicated before God, which is so much recommended in Hajj. In the morning, he went towards Mina and straightly to Jamrah of Aqaba and threw seven pebbles at it. He then went to place of sacrifice and sacrificed 63 (the number of years he remained alive) camels. He gave Ali 37 camels from a hundred camels he had brought with himself from Medina to sacrifice. They eat little from what they sacrificed and gave the rest for charity. Then a barber got his head shaved by his order. He went to Mecca, circumambulated the Kaaba and did Zuhr prayer in Masjid al-Haram. After that he came near the well of Zamzam and drank its water and returned to Mina on the same day and spend days of Tashriq (11th, 12th and 13th of Dhul Hijjah) there, did Stoning of the Devil and exited Mina. Whomever's master (mawla) I am, this Ali is also his master. Then the Prophet also announced his imminent death and charged the believers to remain attached to the Qur'an and Ahl al-Bayt. Afterward, the caravan moved towards Medina and apparently arrived there on 24th of Dhu al-Hijjah. Last days of Dhu al-Hijjah, Muhammad was in Medina. ↑ Buhl, F.; Welch, A. T. (1993). "Muḥammad". Encyclopaedia of Islam. 7 (2nd ed.). Brill Academic Publishers. pp. 360–376. ISBN 90-04-09419-9. ↑ Patrick Hughes; Thomas Patrick Hughes (1995). Dictionary of Islam. Asian Educational Services. ISBN 978-81-206-0672-2. Retrieved 2015-10-18. 1 2 Muḥammad Ḥusayn Haykal (1 May 1994). The Life of Muhammad. The Other Press. ISBN 978-983-9154-17-7. 1 2 Hussayini Tehrani, Muhammad Hussayn. Imamology (امام شناسی). Mashhad: Allama Tabatabaie. p. 47. Retrieved 2015-10-18. ↑ Abu Muneer Ismail Davids (2006). Getting the Best Out of Hajj. Darussalam. pp. 315–. ISBN 978-9960-9803-0-0. Retrieved 2015-10-18. 1 2 IslamKotob. en_TheBiographyoftheProphet. IslamKotob. pp. 154–. GGKEY:DS5PE7D2Z35. Retrieved 2015-10-18. ↑ Amini, Abdul Hosein. 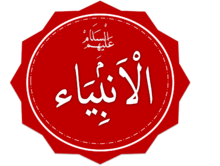 Al-Ghadir. 1. Qom: Dar al-Kotob al-Islamia. pp. 9–30.